The Weekly Turbo: Hall of Fame, RunGood, PokerNews Cup, Kassouf penalty and more! Who says you can't have all your poker news in one place? Happy Sunday, folks. This is Weekly Turbo. In this edition of the Weekly Turbo, we bring you debates over the Hall of Fame, the Harrah’s North Kansas City RunGood Poker Series, PokerNews Cup and more! 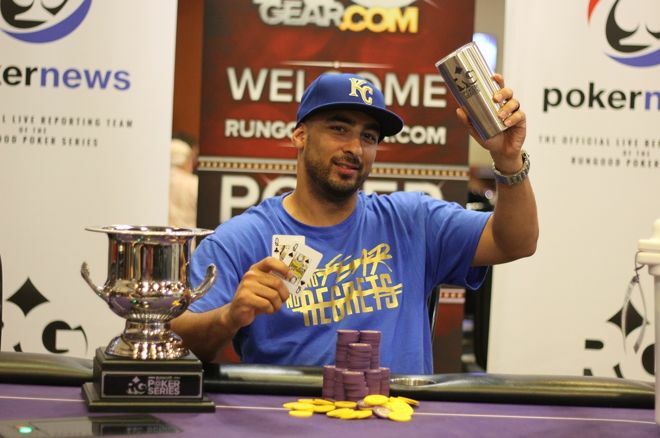 Rob Palacios won the RunGood Poker Series Harrah’s North Kansas City Main Event for $29,833. After the four days of preliminary events, three starting flights drew 252 entrants to the field, blowing the $100,000 guarantee away by $50,000. Even so, Palacios came away with the trophy. Richard Lawlor won thepartypoker WPT National Ireland Main Event for €65,000, topping a field of 260. Dan “djk123” Kelly won his fifth World Championship of Online Poker title this week, winning over $88,000 after a heads-up chop with Patrick “pmahoney22” Mahoney. That and more in this week’s Sunday Briefing. Bulgaria’s Jason Dichev won the biggest pot during the Cash Game Festival Bulgaria, securing €3,400 on a €5/€10 televised feature table. Other highlights – like howJanar Kokk must move to Italy after losing the “go big or go to a new home” heads-up match – from the festival can be found here! Norman “ADMSnackBar” Michalek took down the Sunday Special $50,000 Gtd. For $10,225. See how others fared online in New Jersey this past Sunday. Lance "Cord" Garcia earns the Heartland Poker Tour champion title and $164,988 at the Colorado Golden Gates Casino and Poker Parlour final table Sept. 19. The Global Poker League action resumed Sept. 19 with Jason Mercier, Maria Ho, Dominik Nitsche and Guo Dong winning matches. The Moscow Wolverines maintain a 17-point lead in the Eurasia Conference and the Montreal Nationals skim by with a three-point lead in the Americas Conference. The Global Poker League's heads-up matches played out on the 20th, with clean sweeps for Timothy Adams and Weiyi Zhang. The Moscow Wolverines keep the lead in the Eurasia Conference. Seventeen of the 40 scheduled events crowned champions this past Sunday at the 888poker Super XL Series tournaments, but don't feel like you missed out on the action. Here are the eight biggest tournaments. Fedor "CrownUpGuy" Holz topped the GPI overall list and the 2016 POY list for the 15th week, to surprise no one. Eli Elezra took the opportunity to get back in the rankings with a win and runner-up in recent weeks. 2012 WSOP ME runner-up Jesse Sylviawon the WPT Borgata Poker Open after a massive meltdown from leader Farid Jattin Friday. Keith Whyte, the executive director of the National Council on Problem Gambling, reveals the fine line between heavy recreational gamblers and pro poker players. This week, Marty Derbyshire gives his five thoughts: Whale Hunt Halted, The Hilarious Hall of Fame Campaign, A Hall of Fame Heater, Fair Warning and #JusticeIsBlinds. Strike your curiosity? Read more about the biggest online buy in event of all time, the Poker HOF, PokerStars changes and more! The first-ever North American PokerNews Cup kicked off Sept. 21 during the 2016 Borgata Poker Open. Dominic Picnic led Day 1 of the PokerNews Cup, but it was Ryan Van Sanford who walked away with the title and $68,676. Here's a guide to get around Borgata for those still in Atlantic City. Poker Hall of Fame may have missed the mark by missing these nominees in PokerNews' HOF Snubs. 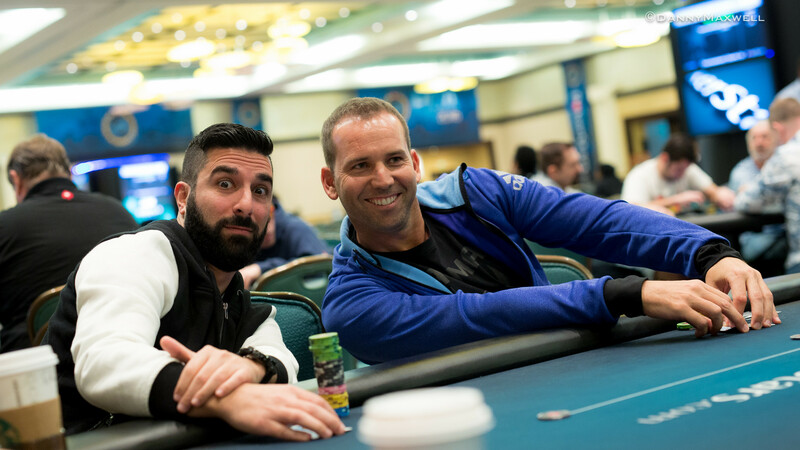 888poker Ambassadors share their pre-poker rituals, which include snacks, showers and The Voice? Martin Harris dives into the history of the famed group of writers and creatives from the Algonquin Round Table and details how they occupied their time with poker, with Harpo Marx disputably winning $30K in one such session of the so-called Thanatopsis Pleasure and Insight Straight Club. More on this week's Poker & Pop Culture. Many,including us, have argued about whether Chris Moneymaker deserves his place in the Hall of Fame. This week, Moneymaker responds with his thoughts on his career, the state of poker, and yes, you guessed it, the Hall of Fame nomination. November Nine's Gordon Vayo has already had the chance of a lifetime, "I still can't believe I won the hand," he said about the WSOP's Main Event.Now he's living the dream. Who wants to be a millionaire? partypoker launches itsMILLIONS tournament, set for April 2017. Blast from the Past: Ted Forrest used to play poker online as "profbackwards." That and more on this week's Railbird Report. Do you stand with WSOP's Jack Effel in his decision to give William Kassouf a penalty? PokerNews steps into the ring to debate whether or not William Kassouf deserved a penalty at WSOP. MPN, Unibet and WPN buck the trend and increase ring-game traffic despite an industrywide decline. Do you bluff enough? Martin Harris reviews the latest Jonathan Little and Albert Hart book titled "Bluffs," which covers 18 bluffing situations in no-limit hold'em. New Jersey residents aren't so excited about expanding casinos outside of Atlantic City, says new poll; Revel buyers plan to reopen casino next year with a new name; and Eldorado buys rival Isle of Capri. We can say social media has poker game changers, right? This week in Tweet, Tweet Bad Beat, a Care Bear, Mini Me and some bacon for the snack-inclined poker players of the world. Ready to marathon? Cash Game London Festivalkicks off Sept. 28 with 120+ hours of poker action. With only his last few chips on the table, one man goes from only having $8 to dominating high-stakes cash games. Even small cash games attract tough opponents, especially online. Here are four tips from Nathan Williams on how to outplay them. Being able to adjust and play correctly — whatever the tournament's speed — is essential. Here are 10 Multi-Table Tournament tips for faster or slower structures. Jonathan Little analyzes his preflop play with pocket 10s against Dan O’Brien at the WSOP final table. Proof that anything can be a learning experience: Robert Woolley shares five lessons from William Shakespeare after hearing his play, "Measure for Measure." 888poker wants to fill your e-wallet! Read more here. 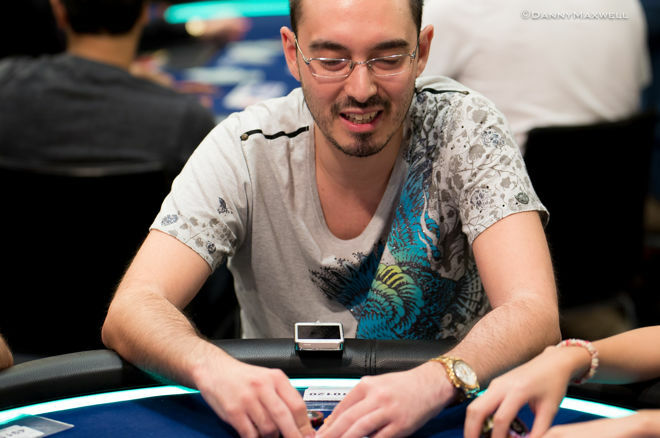 Would you call after William Kassouf's talk of Hollywood (and "Hollywooding") in this WSOP hand? Play another round of "What Would You Do" in these hands from Day 5 of the WSOP Main Event, covered from ESPN. Don't miss your opportunity to qualify for the 888Live London Festival from Oct. 13 through Oct. 23! Now's your chance! Tiger Gaming is hosting its own $50,000 guaranteed tournament today! Could you be its champion? Every day is a new day, and for you low-stakes action and freeroll lovers, PokerStars Poker Cash Giveaway Challenges could be your new dream world. Check it! How big is your stack? Preflop stack sizes could alter your strategy. In partypoker's latest set of Sit & Go Hero tournaments, the Million Hero Sit & Go, you could win tickets and packages to the Caribbean Poker Party, worth $8,000. Cash game pros usually play it close to the vest when it comes to revealing play secrets that can help you win instantly, but Nick Wealthall changes that with an interview with Jamie Sykes. What is a poker game at home if not thefood and drinks that come along with it? This week, you be the real MVP and make sure to take care of your guests. You can thank Ashley Adams later. The largest progressive prize is almost over €300,000 in Jackpot Sit & Goes at PKR Poker with buy-ins ranging from €1 to €50. Your turn. There are huge tournaments at PokerStars, 888poker and partypoker this weekend. Discover more here. Playing the WPTN Marrakech? Here are some travel tips! Calling the Clock on Sergio Garcia: Sarah Herring hosts 60 seconds of rapid fire questions with this professional golfer about his younger self and who he would want to be his poker coach. 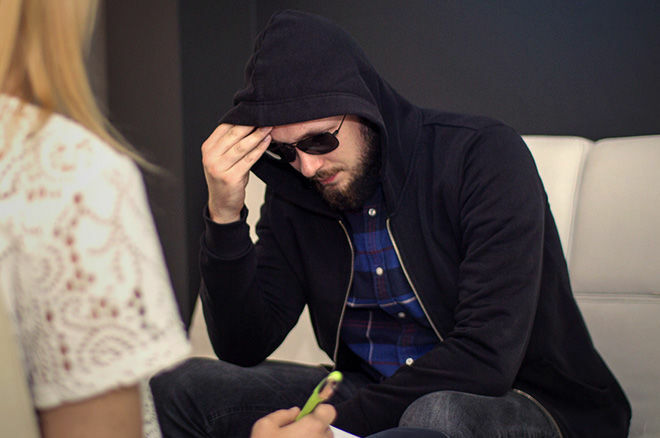 PokerStars shows us five poker rivalries, instances that made us cringe (or smile) at the table, from its events. Tristan Wade, WPTDeepStacks Player of the Year, goes on the Remko Report podcast and traces back his poker journey from watching Chris Moneymaker in his dorm room to poker coaching today. BET RAISE FOLD's Ryan Firpo released video clips and information on his new comedy series pilot completed this September and set to go live on cable or stream online. Luckboxes showcases the online poker world. One clip comically questions, "Is there really that much money in online poker?" Thursday's Throwback had Lynn Gilmartin getting a glimpse of what it takes to produce the WSOP coverage on ESPN. Check out the PokerNews Podcast with Max Pescatori, where he gives us all the details on his Hall of Fame nomination, Twitter spats and more.